Deep and smooth, like silken fudge straight from the jar, or like a liquid truffle when warmed up. Stir it into seltzer or an ice cream soda, pour it on ice cream and sorbet, or drizzle it over the whipped cream on your milkshake. Add a rich depth to your morning cup of coffee or lend sophistication to your favorite hot mocha. Dip it in fresh fruit or let this exquisite sauce be the dazzling finishing touch on mousses and cakes. 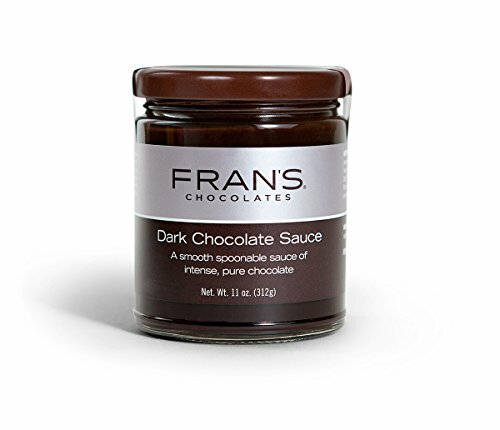 If you have any questions about this product by Fran's Chocolates, contact us by completing and submitting the form below. If you are looking for a specif part number, please include it with your message.